You are here: Home / Ethnic Groups / The People of Sumatra / Who are the Daya? The Daya live in the Barisan Mountains in the southern part of South Sumatra province. They speak a dialect of the Lampung Api language. Although the Daya can understand Lampung Pesisir and Komering, they do not identify ethnically with them. Instead they identify with the Lampung Pesisir and Ranau people who live to their South. The Daya are spread throughout two subdistricts in South Ogan Komering Ulu regency in South Sumatra. The Daya live in the same area as the Aji and the Komering. The mixing of the Daya villages among the Komering and Aji villages is unique in that their villages are often in an alternating pattern geographically. In this area, one will find alternating Aji, Komering and Daya villages, although there are fewer Aji villages than Daya and Komering. 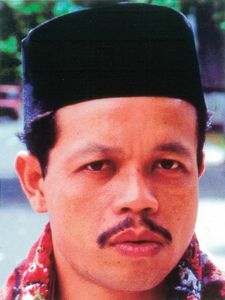 The Komering often consider the Daya to be a part of them because they use the same language. There are many similarities between the Daya and Komering languages. However, the Daya feel that their language and identity are distinct from the Komering. Even so, the Daya don’t deny that there are many similarities between them. Farming in this area is successful. Harvest can be done two or three times per year. This work is generally done by Javanese who manage the rice fields, either as owners or as laborers in fields owned by the Daya. If someone becomes a laborer in the rice fields, he will receive one-half or one-third of the total harvest. The Daya typically don’t manage their rice fields well, therefore many of them entrust their land to Javanese managers. A Daya family will often own 1-2 hectares of rice fields. The housing style among the Daya has shifted from the traditional raised wooden homes to more modern cinder block and concrete homes built at ground level. Sometimes they follow the design used for Javanese homes. The Daya’s Islamic beliefs are strongly held. For example, one young man told the story of a Chinese person who married a local person. He explained: “Chinese, but Muslim!” This story displays that Islam is still a strong part of their identity. Even so, almost every village has a burial ground for the ancestors that is guarded and taken care of well. There are even tombs that are seen as so holy that some people come often to pray and make special requests. Jobs are hard to come by in this area. Many young men are unemployed because there is no work in the village and they are reluctant to leave for the city. The surrounding people groups tend to view the Daya youth as lazy. Only a small number of the young men here seek work outside the local area. Character building and skill development for the young men would assist them greatly.